Today is your day to revel in all that we’ve accomplished with the “30 Days to Love Yourself Project“ I designed. Thank you for taking this journey with me and for all your participation. Here are links to each post to go along with the recap collage above. Sending all my love your way! Put your best foot forward- Dress up, let the sun in, laugh as much as you can, turn up the music, spend time with loved ones, celebrate your uniqueness, acknowledge the strides you’ve made, appreciate your body, your mind, your heart and love with wild abandon. Congratulations on making it to our 30th day in the project! I hope that you’ve been able to learn some things about yourself, stretch your limits and have some fun along the way. Tomorrow is Valentines Day. I love the idea to celebrate love by starting with yourself, which is the thought that started this whole thing. I designed this project to bring us full circle- back to the beginning. Everything in your being, exactly as it is right now- no more, no less, is as it should be. You are enough. You have been though things. Hard things, that have changed you and left scars. You are enough. You are loved. You don’t need validation from someone else for this to be true. Reach deep yourself and you will find it. You are enough. You are beautiful inside and out. You are enough. You have things to contribute to this world that no one else can. You are enough. If there’s one thing I could etch onto your hearts after this month, it is that you are enough. You’re not broken, or ugly, or out of shape, or boring, or lazy, or unloveable. You are enough. Just the way you are. My friends, on this Valentines Eve, and at the end of this project, I hope you’ve been able to internalize the things we’ve done to help you appreciate yourself and all you have to offer. I hope you feel rejuvenated and ready for whatever you have planned tomorrow, feeling confident and happy. Day 29: Splurge! Do something, purchase something, or go somewhere that will put a huge smile on your face. The Blurb: We did some heavy lifting yesterday, so today’s topic is really light and fun. 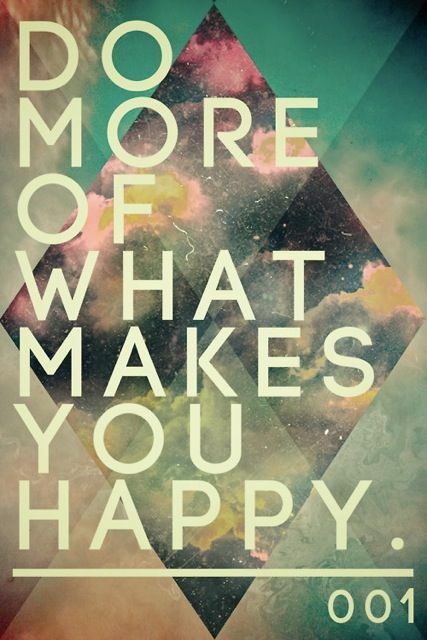 Today I want you to do something that makes you insanely happy. Something that you don’t usually get to do that will make you grin from ear to ear. Suggestions: It has to be something that means something to YOU. If you’ve been saving for a shopping spree, go. If you want to spend some time with a good friend, do it. If you just need a night out, make the arrangements. Maybe you just want to track down that waffle truck and try those waffles everyone raves about. Some of you might just want a quite night at home. Or maybe you want to binge-watch a series. Whatever it is that will make you feel lighter and happier, do that. Keeping It Real: Remember that the whole point of the “30 Days to Love Yourself Project” is to spend time on YOURSELF as we lead up to Valentines Day. Think about what you’ve been focusing on and see if there’s something that will line up with things you’ve discovered about yourself over the last 29 days. For my Splurge today, I joined a Recreation & Fitness Center! I’m really excited about this because I’ve been wanting to ramp up my fitness and have a fun place to take the kiddos. I also moved recently and so I’m excited to meet some people in my new area. This was a really fun splurge that furthers some of the things I’ve been thinking about during this project. Alright guys, we only have one focus left! Thank you for all the comments and for participating in my little project. It’s been great to have something to think about each day and to learn more about you and things you’re working on. I’ll see you tomorrow, on our last day before Valentines Day. By now you should be feeling the love! Here’s the CATCH UP POST and if you want to see what tomorrow’s all about…. here ya go! Day 26: Make time to connect with someone you wouldn’t normally see. The Blurb: Who would you like to connect with that you wouldn’t normally get to see today? Spend some quality time with someone who means something to you. Life is busy…but today, make time. Suggestions: The easy part will be thinking of the person. Someone will jump to your mind that you’ve been wanting to see, meaning to catch up with, or thinking about. Go with it. Make the call, make it happen. Photo of the Day: I’ve been wanting to spend some time with this beautiful girl, so I kidnapped her. No, I just invited her over for dinner. We had a great time! I hope that you take advantage of the focus today. Relationships are so important. If you missed anything, you can get caught up HERE. There’s only a few days left leading up to Valentines Day but there’s still some fun challenges left! Don’t miss out! Day 25: Have a comfy night in. Cozy up in your favorite sweats and relax! Enjoy some down-time. The Blurb: When I was younger my best friend’s mom enforced what their family called “down time.” This was such a foreign concept to me. Sometimes instead of being able to go do something, her mom would say she needed down-time. Now that I’m a busy mom, I not only understand the concept but crave that down-time. Don’t get me wrong, I thrive on being busy, and having a family perpetuates that inertia. But every now and then I could really just use some time without life’s demands. Just a few hours where I don’t have to run errands or clean or be a taxi or make dinner or work. Suggestions: Cozy up in your favorite sweats and relax. Have a hot bubble bath. Do yoga/meditate. Take a nap. Read a book. Escape from technology– turn off your phones/iPods/computers/TV. Get a massage. Think- when was the last time you just let your mind wander? Do something creative. I hope you are able to enjoy your time today. If you want to get caught up on any of our previous challenges, here’s the RECAP POST. If you want to get a sneak peek of what we’re doing tomorrow, see below. Less than a week left! Let a little self-love in! Have a great Saturday! See ya tomorrow! Day 24: Identify one thing you’ve wanted to make time to do and DO IT! The Blurb: It’s Friday! You know that one thing you keep wanting to do but haven’t been able to do yet? Today is the day to do it! Things get so busy and it’s hard to let yourself have some ME TIME or INDULGE in something that’s just for you. But part of learning to love yourself is realizing the replenishing value of taking time to do things that make you happy! Suggestions: Go to dinner with a friend. See a movie. Take a night off and just be lazy around the house. Try that new workout you’ve been eying. Reconnect with a friend. Skype someone you miss. Take that class. Plan a trip. Do something active. Order dinner in and read a book. Make your Bucket List. Keeping It Real: You don’t have to justify this one to anyone. It doesn’t have to be fair. It doesn’t have to involve anyone else. You just do whatever you want. I give you permission. Day 23: Go to bed 1/2 hour earlier than normal so you can wake up refreshed. The Blurb: Sleep is magical! 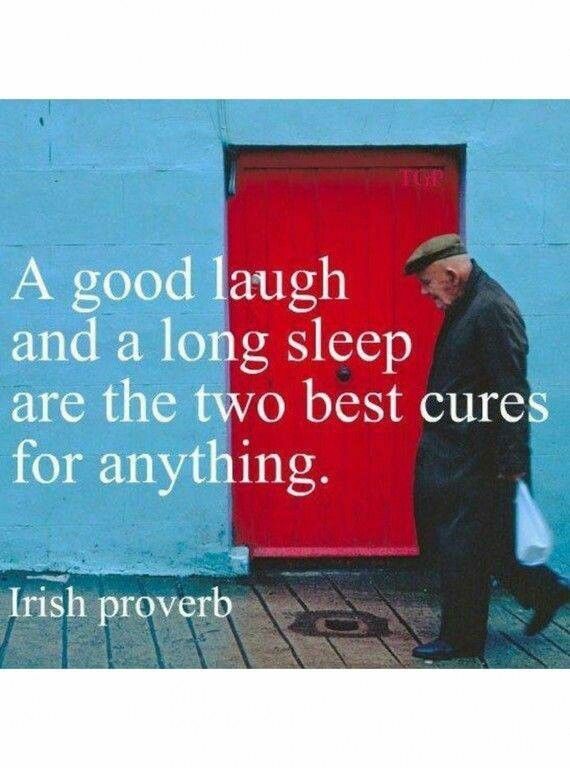 I love the Irish proverb above and I believe it. Today’s challenge is to give your body an extra half hour break. It makes such a difference when you’re able to get the rest you need. The Mayo Clinic recommends that adults get 7-8 hours of sleep a night. Getting enough sleep will increase your memory, lower your stress, boost your immune system, increase your physical abilities, reduce inflammation, sharpen your attention and reduce depression. I’m getting better over the years, and I appreciate my sleep much more than I used to. If you’re having trouble falling asleep, sometimes a meditation exercise can calm your mind. Or maybe a story will help you relax- here’s one I wrote. Make arrangements to get that extra half hour of sleep tonight. I’m a go-go-go kind of girl, so I know I’ll appreciate my extra half an hour of sleep. I’m already excited for it! Thanks for taking the time to participate in the “30 Days to Love Yourself Project!” I hope you’re enjoying these tips as we get closer to Valentines Day. See you tomorrow! Day 21- Drink eight glasses of 8 oz. of water today. Suggestions: One suggestion is to use a gallon jug and then just fill it with as much water as you want to drink that day. Then you will have a quick visual of how you’re doing. If it’s 3 in the afternoon and you’re not done with half… you better start chugging! Keeping It Real: I did a study about water consumption back in college and what I remember about it is that the cells in your body hold onto water. If you are drinking enough water, your body can use and release water regularly because it knows more is coming. If you’re NOT drinking enough water, your body holds onto the water much longer… leaving you with old, putrid water surrounding your cells. Yuck! That thought was enough to make me want to drink, drink, drink. Another suggestion is to have a big glass of water whenever you feel hungry and again before each meal. This can also help with appetite control. This is one I need to work on. When I was pregnant I did a great job having a water bottle filled and out on the counter all day to make sure I was getting enough water. And then when I came home from the hospital they gave me this huge hospital water mug (Does everyone goes home with these?). 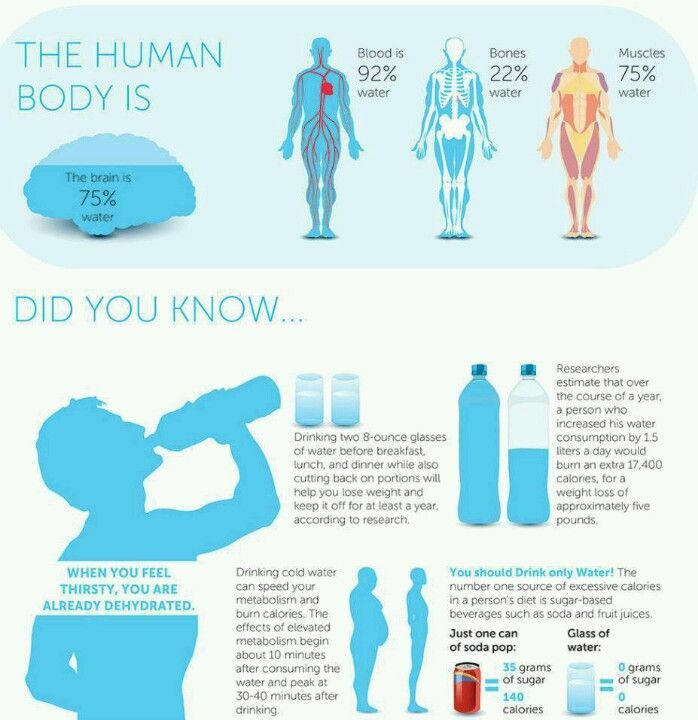 This is a great reminder to pull it out and drink more water! I made this totally awesome (right?) water bottle to help me have a visual of how much more I need to drink in a day. I hope that you take this tip as a good reminder to drink, drink drink (Water). Day 20: Participate in a Random Act of Kindness! The Blurb: Today focus is one of my favorites. This small act can change someone’s life. It can change yours. There have been handful of times in my life when someone has done something for me that I will never be able to repay. I can’t tell you how much those things have meant to me. They made a lasting impression on me, and I hope to be able to help others in a similar way. Remember that movie “Pay It Forward?” The whole thing was based on the concept of Random Acts of Kindness and now “Pay It Forward” is a common phrase. Hopefully these little acts of kindness will inspire people to do things for others in the future. That way, one act of kindness spreads exponentially. I swear that movie’s not that old! I’m not that old! Anyway, that’s beside my point. My point is to Pay It Forward. Be the kind of person who gives back. I recently explored a variation of the Pay It Forward idea with my post on Six Degrees of Separation. I learned that Kevin Bacon set up a non profit organization with an easy way to Donate to Charities. It’s an amazing way to Pay It Forward and you can read more about it HERE. 15. When you’re on a crowded train or bus, offer your seat to an elderly, disabled or pregnant person.16. Don’t interrupt when someone is explaining herself. I hope everyone takes today’s focus to heart and participates. Let’s make the world a better place together. Thanks for participating! If you missed anything, it’s not to late to join in on all the fun. You can catch the RECAP HERE. See below for the cheat-sheet of what’s left until Valentines Day! Have a great night! See you tomorrow! !